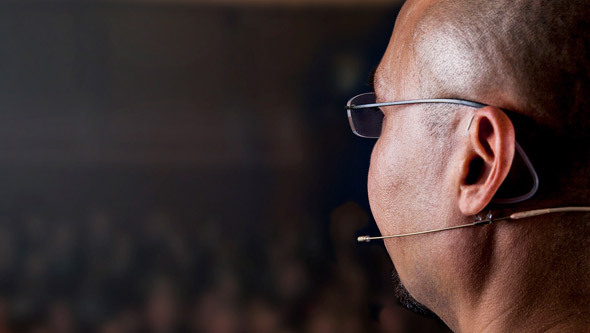 The aim of this article is to outline some differences between directional and omnidirectional microphones in order to remove some of the prejudices that especially PA/live technicians have about omnis. Keywords: Omnidirectional microphones, large diaphragm (large membrane), small diaphragm (small membrane), self-noise, sensitivity, SPL handling, frequency range, directional characteristics, dynamic range. Achieved knowledge: You got knowledge about microphone performance in dependence of diaphragm (membrane) size. Before choosing between a large and a small diaphragm microphone it is important to know the difference in features between them. Microphone behaviour can not be compared with that of a loudspeaker. A large diaphragm microphone has less self-noise than a small diaphragm microphone. This is due to the fact that the self-noise in a microphone is mainly due to Brownian Movements; i.e. air molecules bombard the diaphragm creating an equivalent noise pressure. The smaller diaphragm behaves as a hard surface and the air molecules hitting it exchange a greater amount of their energy, producing greater sound pressure levels relative to the area and the sensitivity of the diaphragm. The sensitivity of the large and more compliant microphone diaphragm is generally higher than the small and stiff diaphragm. 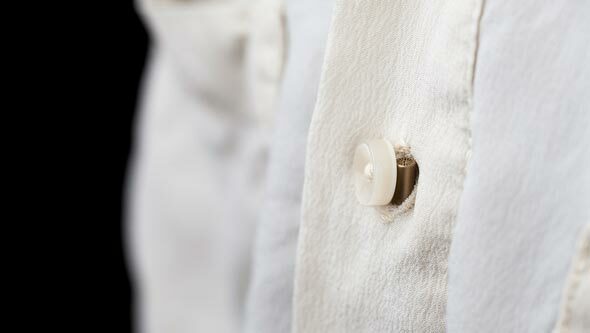 The large diaphragm is easier to move, even with low sound pressure levels, and will therefore provide a larger output. Sensitivity - the difference between a small and a large diaphragm DPA microphone. A condenser microphone's capability of handling large SPLs is limited by two things:1. The microphone capsule, where the distance between the diaphragm and the back plate, together with the rigidity of the diaphragm, sets limits for how much a diaphragm can move before the distortion is too high. 2. The power supply for the microphone preamplifier sets limits for the amount of signal that can be handled before clipping occurs. The smaller and stiffer diaphragm will therefore be able to handle relatively higher SPLs than the microphone with a large diaphragm. SPL - the difference between a small and a large diaphragm DPA microphone. As the omnidirectional microphone is sensing small differences in the air pressure (sound waves), both large and small diaphragms will, in principle, be equally capable of picking up low frequencies. The lower limiting frequency (LLF) of the pressure microphone is set by a small vent, to prevent the diaphragm from moving due to changes in the ambient barometric pressure. According to the dimensions of the vent (i.e. diameter and length) it will act as an acoustic low cut filter. The upper limiting frequency (ULF) is set by several factors, all related to the dimensions of the diaphragm. 1. A large diaphragm tends to break up and will no longer act as a true piston. This phenomenon is also known from loudspeaker technology and is the reason why loudspeakers are manufactured with different sizes of diaphragms to handle different frequency areas. 2. The weight of the diaphragm will attenuate the displacement of the diaphragm for higher frequencies. 3. The diffractions around the edges of the microphone capsule will limit the microphone's capability of handling very high frequencies. The conclusion is that a large diaphragm microphone will have a more limited frequency range than a small diaphragm. This is illustrated in the graphs below that show the difference in frequency range. Frequency Response - the difference between a small and a large diaphragm DPA microphone. When a microphone is placed in a sound field, its mere presence will influence the sound itself. This is due to the acoustic phenomena that can occur around the microphone due to the size of the microphone capsule, how it is positioned, the shape and the size of the microphone body containing the preamplifier, and the connector and design of the protecting grid. 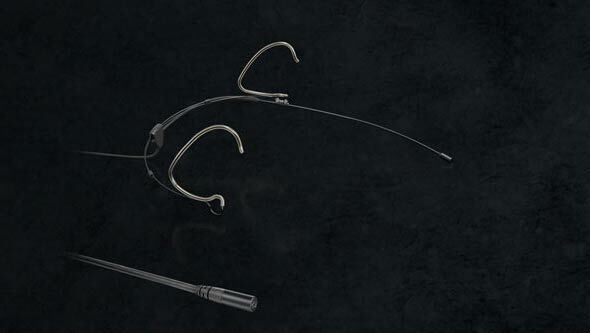 All flat fronted omnidirectional microphones become increasingly directional for higher frequencies. High frequency sound waves coming directly from the front of the microphone will be reflected at the surface of the diaphragm, creating a sound pressure build-up between incoming and outgoing sound. This phenomenon occurs when the wavelength of the sound becomes comparable with, or is smaller than the diameter of the diaphragm. The relation between diaphragm size and directionality for higher frequencies are illustrated below. Directional Characteristics - the difference between a small and a large diaphragm DPA microphone. A small diaphragm microphone can usually offer a higher dynamic range than a large diaphragm microphone. To explain this it is useful to understand how the dynamic range is calculated. The most sensible method of calculation is establishing the difference in dB between the noise floor and SPL where the microphone produces a certain amount of total harmonic distortion (THD). We have seen earlier how the noise floor of the microphone rises if the diaphragm is small, but the SPL handling increases even more compared with the large diaphragm. This is illustrated in the table below, which shows how the dynamic range is calculated for DPA's omnidirectional studio microphones. Dynamic Range - the difference between a small and a large diaphragm DPA microphone. Small diaphragm microphones can therefore have an equal or better dynamic range. The dynamic range is just shifted to cover different SPLs. In addition, the dynamic range of DPA's Series 4000 Professional Microphones is calculated from measurement results, where both the microphone capsule and the preamp are included in the measurement. This may sound obvious but DPA is one of the few, if not the only, manufacturer of studio microphones calculating dynamic range from all acoustic measurements. Both diaphragm sizes have their respective advantages and disadvantages. 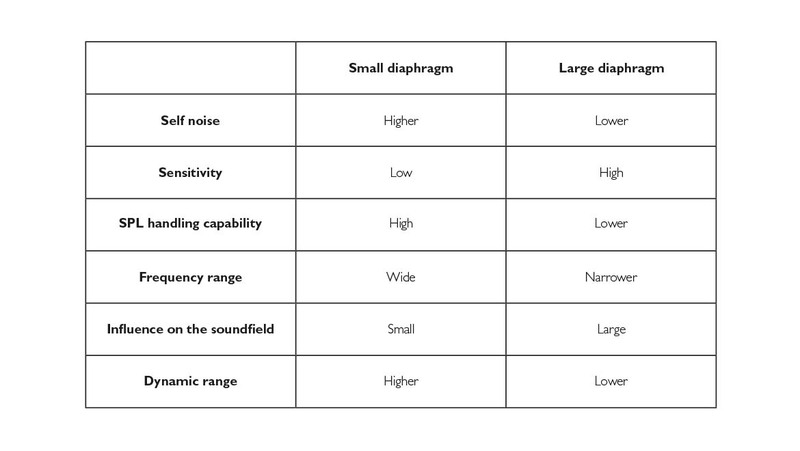 This is illustrated in the table below, which compares the specifications of DPA's small, medium and large diaphragm microphones. In Microphone University we have loads of content that could be relevant to you. Learn more by reading the articles below. Digital wireless and mics – it’s digital so why bother?